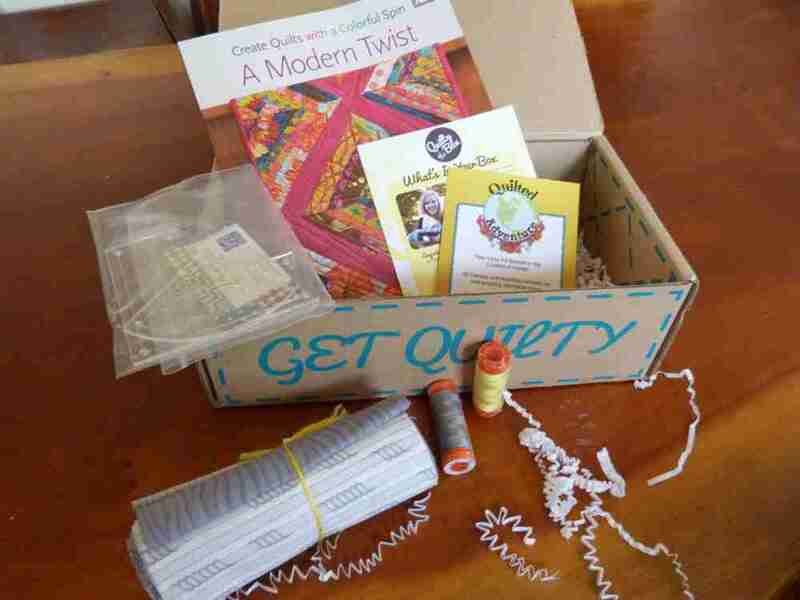 I am thrilled to have received a Quilty Box from QuiltyBox.com! It arrived in my mail box, looking so innocent, however the inside is quite delicious! 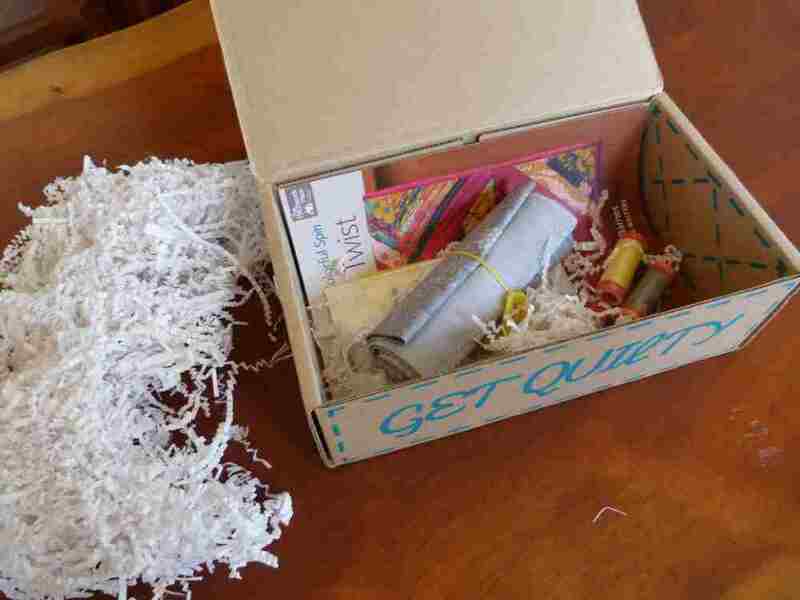 Thank you QuiltyBox. 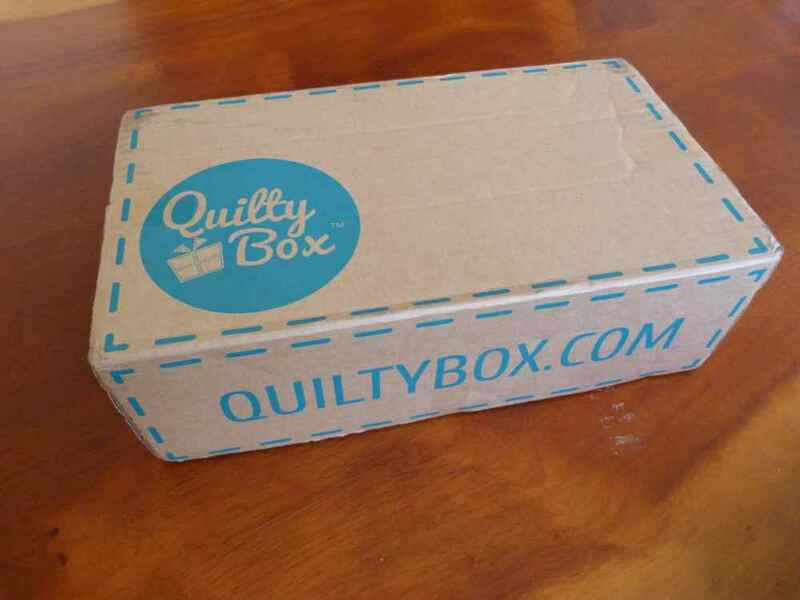 QuiltyBox.com is something you can subscribe to, and in return they will send you a Quilty Box each month containing delicious new products – so exciting! will I ever see what’s inside? oh my goodness, all this packaging! whilst keeping everything safe, is preventing me from seeing what’s inside! and there it is, lots of delicious goodies! and inside are some exciting new fabrics by Angela Walters, and also a book that she has co-authored that requires further reading, some fabulous Aurifil thread and acrylic templates for a drunkards path block, plus some interesting information. 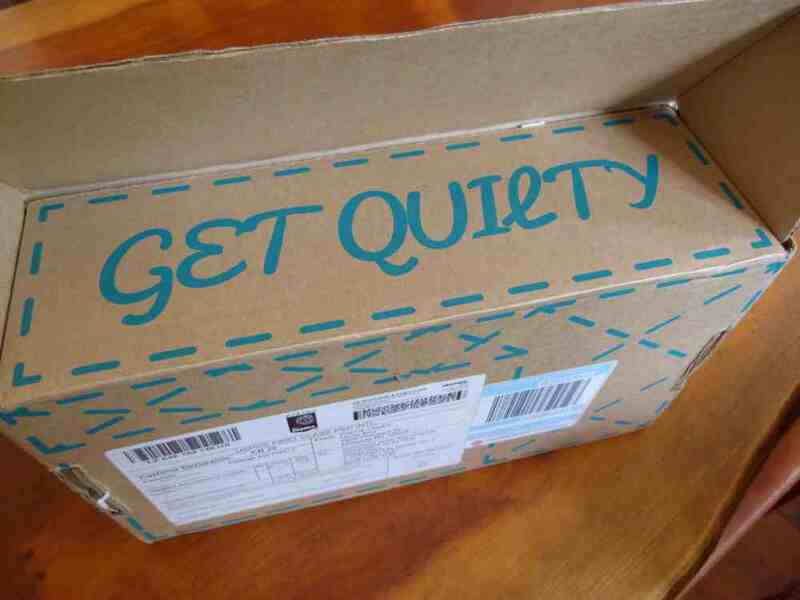 All in all, a scrumptious treat, thanks QuiltyBox. 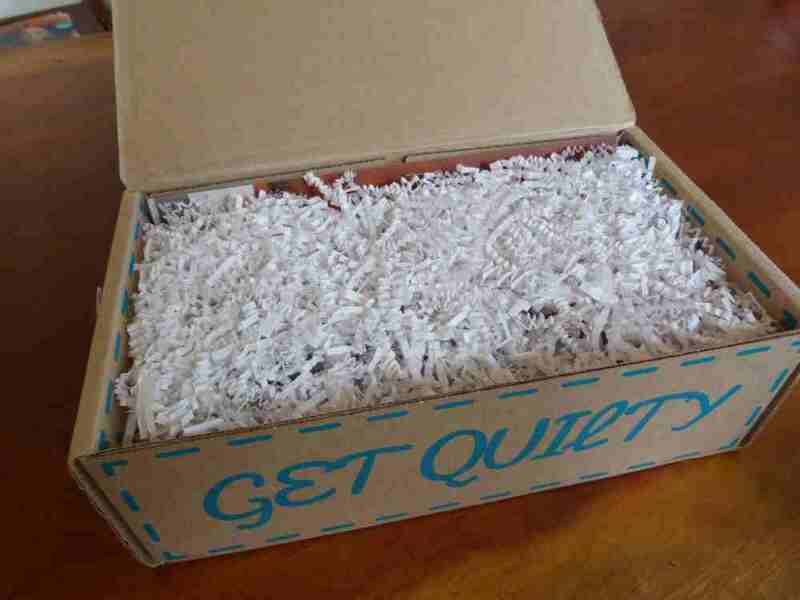 1 Response to Quilty Box has arrived! looks exciting! What would your postage each month be?